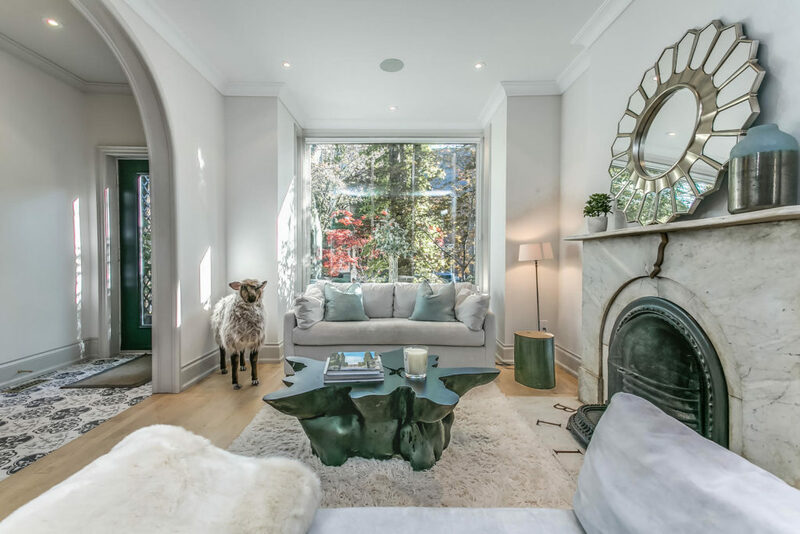 The early 1900s semi was renovated by the previous owners, who created an open plan. 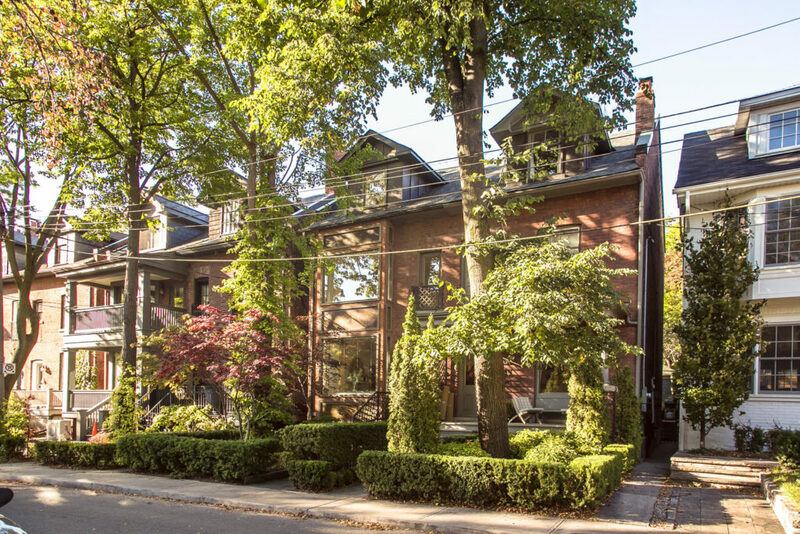 Robert and Jennifer French were looking for their first house in Toronto in 1993, when they passed a sign for an “open house” bearing the name of Mr. French’s Grade 8 teacher. Out of curiousity, he persuaded his wife to venture down a small, dead-end street to say hello. While they chatted with the former teacher at 36 Gibson Ave., they found out the home’s owner had been Mr. French’s sixth-grade teacher. After their fortuitous reunion, the couple had a walk around the cul-de-sac, which runs west from Yonge Street and ends at historic Ramsden Park. They began to envision how the house’s location across the park would be an ideal setting for the couple and their golden retriever. They bought the house at No. 36 and had two children. They found out the street was home to five golden retrievers that all frolicked at Ramsden Park. The artist Marci Lipman, who had a boutique on nearby Avenue Road, immortalized the street’s goldens on her popular sweatshirts and T-shirts. “Because it’s a dead end, people tend to know each other better than they do on other streets in Toronto,” Ms. French says. By the time their third child was on the way, the Frenches decided to move to a more spacious house with a bigger yard for their kids and dog. Fifteen years later, the Frenches were living in Lytton Park when they received a call from a resident of Gibson Avenue who remained a long-time friend. She told them the house next door to their first house on the street was coming up for sale. They went to see it in February, 2014, and outbid a group of rivals to buy No. 34. “It was destined,” Mr. French says of the family’s return to the street. Watching their neighours renovate No. 34 gave the couple the confidence to purchase the property years later. The Frenches had been living at No. 36 in the 1990s while their next-door neighbours were renovating the tall Victorian at No. 34. Mr. French says watching the two-year process gave him great confidence in their purchase years later. He recalls seeing the designer sitting outside one day, intently focused on a project. He wandered over to ask her what she was up to and he was astonished when she explained she wasn’t happy with the appearance of the new limestone, so she was staining it with tea. The front bedroom, which is currently being used as an office, has a large window facing toward Ramsden Park. “They were very particular,” he says of the home’s previous stewards. 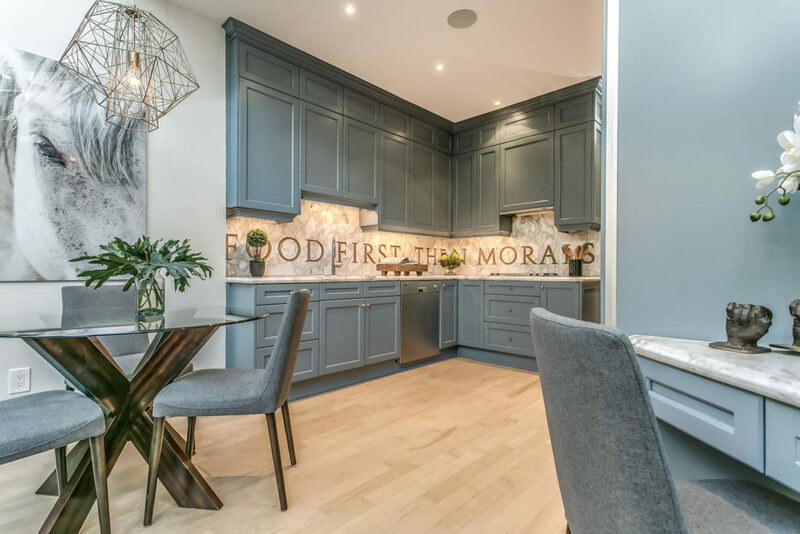 The Frenches liked the transformation of the early-1900s semi into an open plan, but after living there with their three teenagers for a year, they decided to add some walls back in. An upstairs bedroom, for example, had been opened up with a Juliette balcony overlooking the living room, but the family found the sound carried too much between floors. At the rear, the kitchen had a skylight, but it still seemed dark. The couple removed some carved wooden panels and brightened up the space. The couple removed some wooden panels to brighten up the kitchen. Outside, they replaced a sunken garden with a wooden deck so that they can walk out easily from the kitchen. 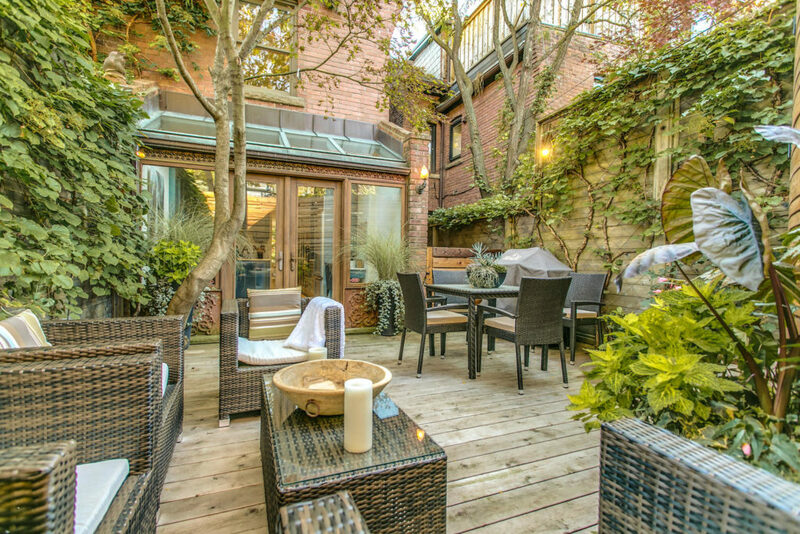 They had the rear garden enclosed in a curved cedar fence to create a private haven. “They literally bent every board with steam,” Mr. French says. The garden is enclosed in a curved cedar fence, creating some privacy. A gate provides access to the parking for one car in the laneway behind the house. On the second floor, the Frenches closed in the open area to create an extra bedroom. There are now three bedrooms and a family-sized bathroom on the second level. 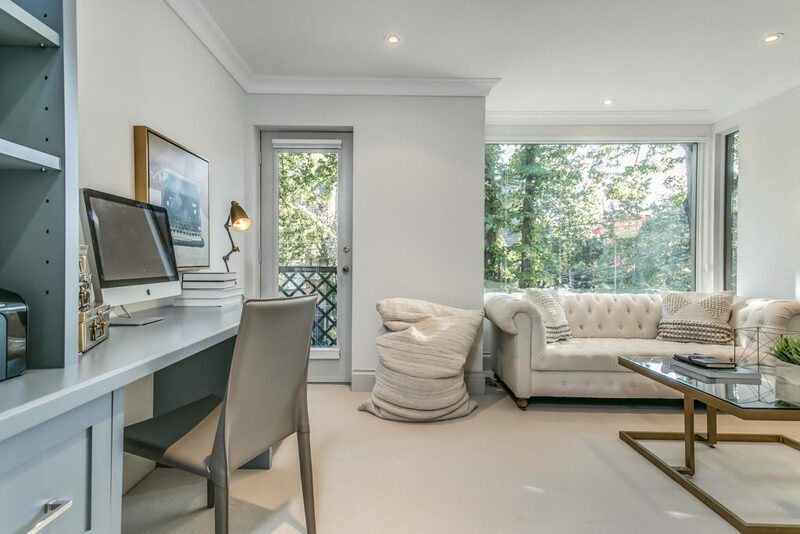 The front bedroom is currently used as a home office and siting room with a large window facing toward the park. 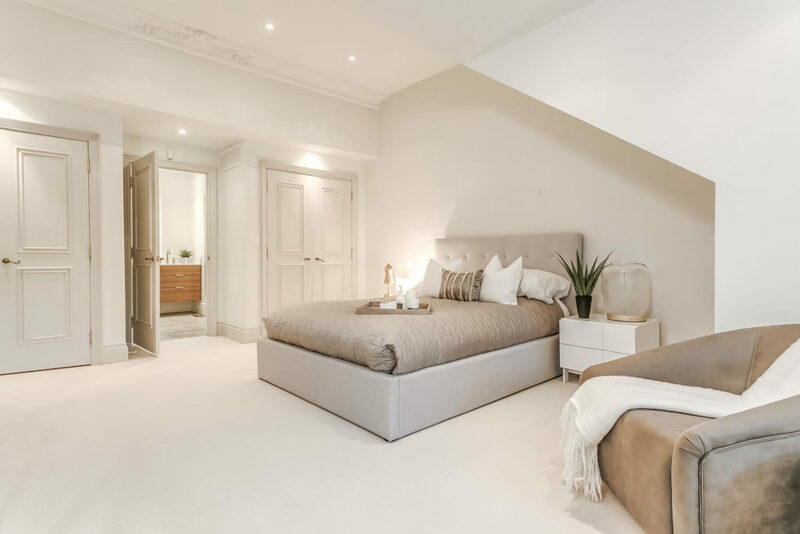 The couple enclosed the staircase to the third floor to create a master bedroom retreat. There are vaulted ceilings in the bedroom area and his-and-hers closets. The couple also renovated the ensuite bathroom and created a walk-in shower. The master bedroom has his-and-her closets. On the lower level, the home has a recreation room and fifth bedroom with a bathroom, sauna and steam shower. 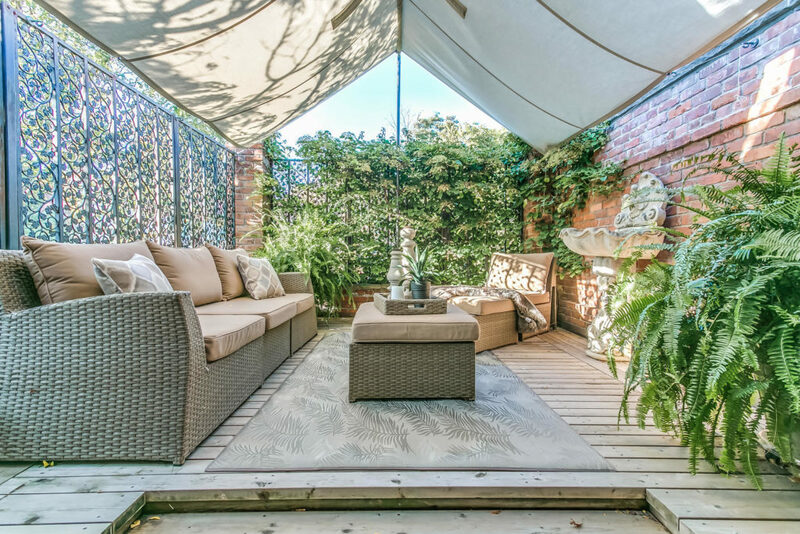 Real estate agent Carol Lome of Royal LePage Real Estate Services Ltd., Johnston and Daniel Division, says the street feels like a quiet escape from the busy Summerhill area, which is packed with restaurants, gourmet shops, antique stores and clothing boutiques. “It’s organic. You come in and you just decompress,” Ms. Lome says of the home and its surroundings. 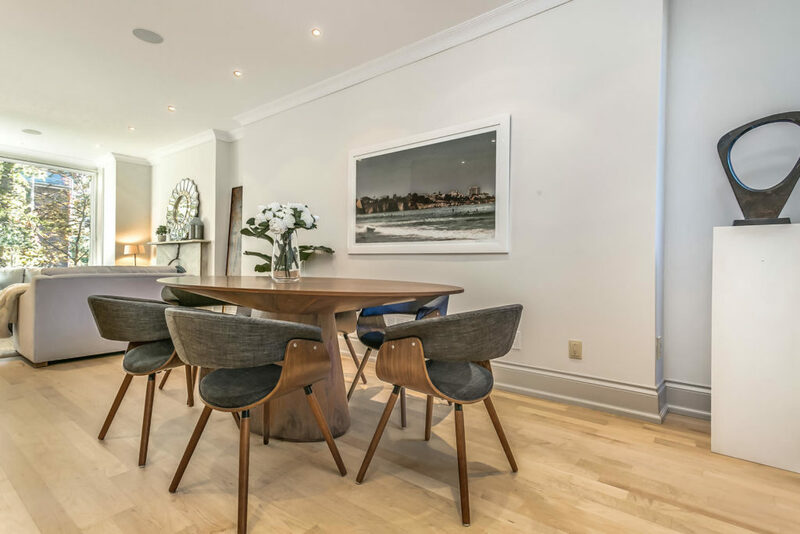 The Frenches enjoy being able to walk to Yonge and Bloor in just a few minutes. The Rosedale subway station is at the end of the street. Meandering Ramsden Park is one of Toronto’s oldest and largest at 13.7 acres. In the 1800s, the land was the setting for a brickyard that supplied the yellow brick that was used throughout Yorkville and the Annex. Today, the park is undergoing a revitalization. The city is making improvements to its walkways, trails and tennis courts. There’s a new kids’ playground and water play area. Ms. French says residents at No. 34 can watch the ice skating in winter from the front window. The waterproof canopy on the rooftop deck was designed by a sail maker. The third floor master suite has doors opening to an enclosed rooftop deck. Reclaimed vintage brick from the well-known John Price Brickyard was used to create the pillars. The wrought-iron panels inserted into the brick were imported from France. Mr. French enlisted a sail maker to design a waterproof canopy that shelters the deck from the elements. “It’s just so nice in the morning to wake up to this,” Ms. French says.